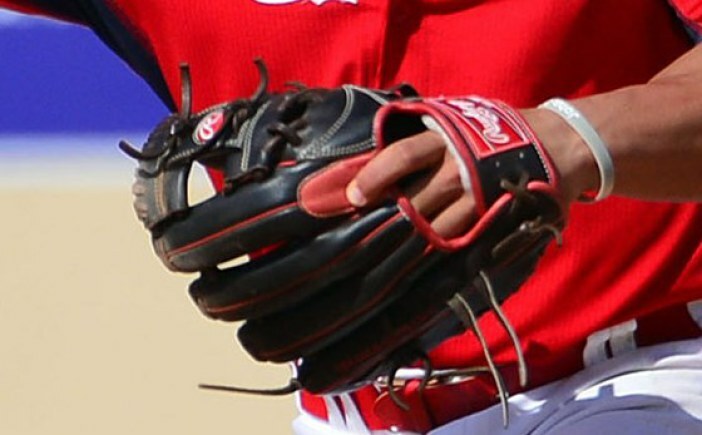 We first saw Kolten Wong’s current I-Web gamer in Spring Training 2014 looking a whole lot cleaner, with bright red welting and lining, a unique look that we haven’t seen on Rawlings leather before. After a season’s worth of service, that new leather shine is gone but only because Wong throws his body around at second base with reckless abandon. Shop a very similar glove at the link. Categories: Gear, Glove, Second Base, St. Louis Cardinals, Kolten Wong.